Eve has a rich background. A VERY rich background. If you are looking for information on lore, the backstories of Eve or just want an explanation why our ships move like submarines, the links below are here to help you! Chronicles - Very short stories about Eve. A wealth of information on the Eve Universe. Scientific Articles - How do our ships travel faster than light? What is 4th Dimensional Drag? How do FTL Communications work? Read about it here. Short Stories - Erm, longer short stories than the Chronicles. Ship Technology - As part of the Fiction portal this gives more lore and background into ships. Fiction Portal - Loads of background lore and stuffz on Eve. Mark726's Lore Guide - A fantastic player made resource. Gives you everything you need to know from the official CCP lore in compressed form. Web and PDF there. The Empyrean Age - The rise of Tibus Heth, the Elder invasion of Amarr and the start of wars between the four Empires. The Burning Life - Pirate support dude wants revenge on a Capsuleer who blew up their colony. Lot of depth on all pirate organisations and the Sansha. Templar One - How cloned soldiers came to be. Lot of background on the Sleeper race too. 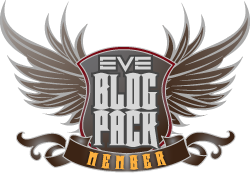 Eve Source - The Eve Bible, or should that be the Eve Pax Amarria?